I'm a visual person, and the look of a dish is really important to me. I think that's true for many of us -- when we see an appetizing-looking plate of food, our mouths immediately begin watering, right? Especially comfort food. My mom makes the best chicken casserole, and just the thought of the creamy gravy and tasty bites of chicken send me into a food-frenzy. And there are never enough leftovers! 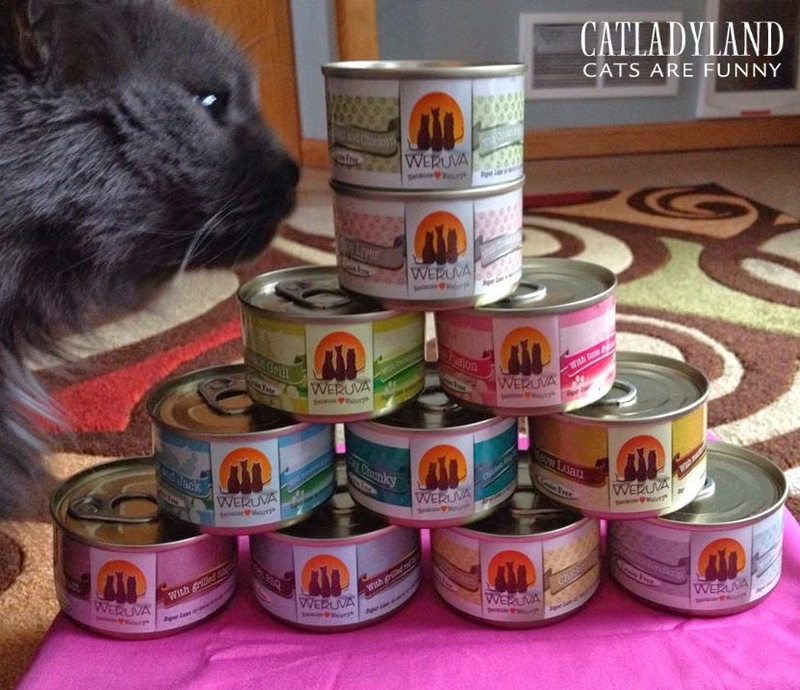 OK, let me stop talking about my food, and move on to what this post is about: cat food! But really, the two subjects have more in common than you might think. 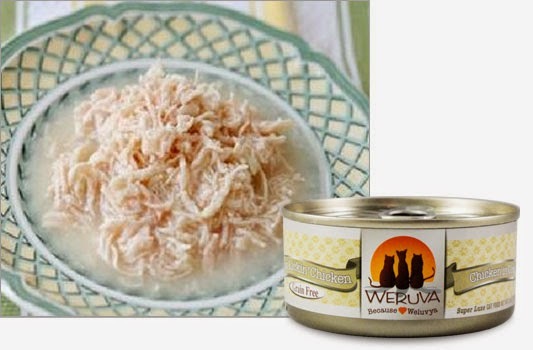 When I opened up the first can of Weruva food for my cats, my first thought was "homemade comfort food." I could look on the plate and see what was in the meal. Some of the chicken dishes even smelled like Mom's casserole. Mom, if you're reading this, that's a compliment. Weruva canned food is grain-, GMO-, MSG- and carrageenan-free. Additionally, the chicken formulas are free of fish and the fish formulas are free of chicken. The meat cuts are lean and hand-placed into cans. Really, when you look at the chicken, it won't be hard to believe it comes from cage-free boneless, skinless, white-meat breasts (perfect for obligate carnivores). In fact, Weruva cat food is produced in a human-food facility, using many of the ingredients and processes that are used for human foods. I guess it makes sense Phoebe, Cosmo and Saffy would go nuts for Weruva -- they're constantly interested in what's on my plate! And Weruva's lines are 80% moisture, but don't think that'll stop your cats from tipping over your water cup. Cats are made of awesome ... and curiosity. Cosmo inhales most anything, but Phoebe is a picky eater. I was a little blown away to see how quickly she gobbled the Weruva. 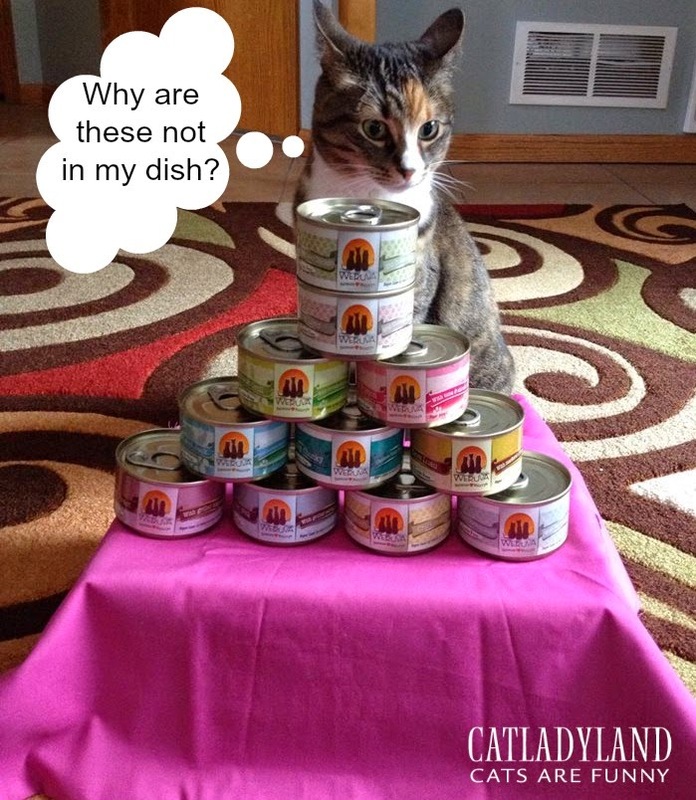 Although my cats enjoyed the sustainable fish flavors, they were particularly partial to the chicken-based ones. I think they must have stolen a few tastes of my mom's casserole and the cat food reminded them of it. They know what's good. I didn't taste-test any of the food, but don't think I didn't consider it. You don't believe me, do you? Look how they Cosmo and Phoebe went to town on the Funky Chunky Chicken Soup! I know this has nothing to do with the taste of the food (still think I tasted it, huh? ), but the names of the flavors sound good enough to eat. I've definitely eaten my own words, and I'd probably eat these as well. Close your eyes and think of these flavors. Wait, open your eyes, read these flavors, then close your eyes and think about them. If I were there with you right now, I'd read them to you, but alas, you are not so lucky (and nor am I). OK, now for some of the flavors: Grandma's Chicken Soup, Outback Grill, Asian Fusion, Polynesian BBQ, Mideast Feast. OK, now close your eyes and think. Hungry? I thought so. 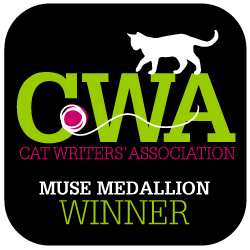 And your cat is probably hungry too, so stop reading for a moment and grab a treat for both you and kitty. Yes, Weruva makes treats too. Back? Good. You're just in time to click over and follow Weruva on Facebook and Twitter! This post is sponsored by Weruva. I am being compensated for helping spread the word about Weruva as part of the BlogPaws Blogger Network, but Catladyland only shares information we feel is relevant to our readers. Weruva is not responsible for the content of the article.